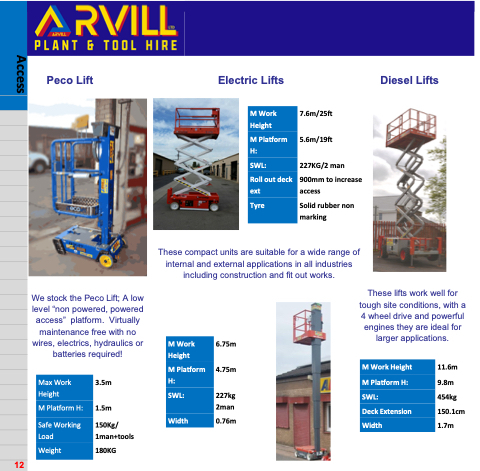 We stock the Peco Lift; A low level “non powered, powered access” platform. Virtually maintenance free with no wires, electrics, hydraulics or batteries required! These lifts work well for tough site conditions, with a 4 wheel drive and powerful engines they are ideal for larger applications. These compact units are suitable for a wide range of internal and external applications in all industries including construction and fit out works.